Don’t you think it’s funny how we get recommendations now? It used to be formal reviews in the paper by esteemed critics, and now it can be any old Joe, like me, and a blog. But taking it to the next level is Instagram. As I usually do when I’m in bed, on a train, or on the toilet (oh come on we all do it, don’t deny it) I find myself getting lost down the rabbit hole of Instagram. One moment I’m looking at cute flatlays, and the next, I’ve found some rich kid of Azerbaijan. This is how I found my next food recommendation. Aimlessly scrolling when I found a picture that made me go whoaaaaa. 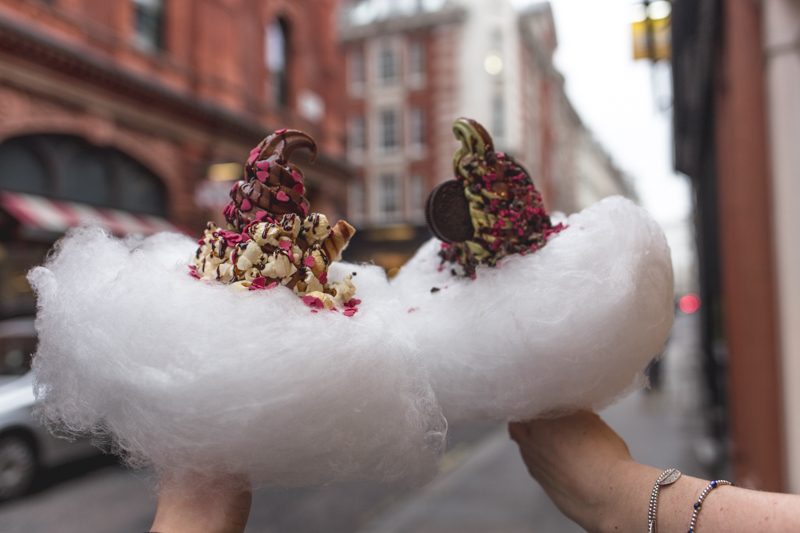 An ice cream, not only covered in sprinkles, chocolate sauce and biscuit pieces, but it was wrapped in a cloud of candy floss! I immediately text my friend Caroline, who is partial to a bit of crazy ice cream as me. “We HAVE to go!” and so we did. 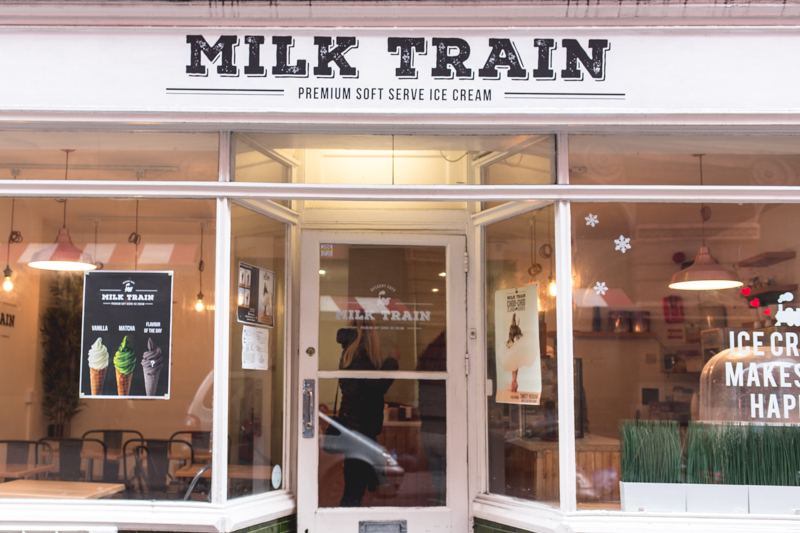 Milk Train is a small little café, 5 or so minutes away from Charing Cross station. It’s down a side street, sort of hidden from a huge footfall. It was bitter on Sunday when we went- not really typical ice cream weather- and yet there were still 3 or 4 groups in there tucking in. Straight away I spied the fluffy cloud. It looked even better than it did on Instagram. Of course, every single person was snapping away on their phones. Eager to get our own, we went up to the counter. 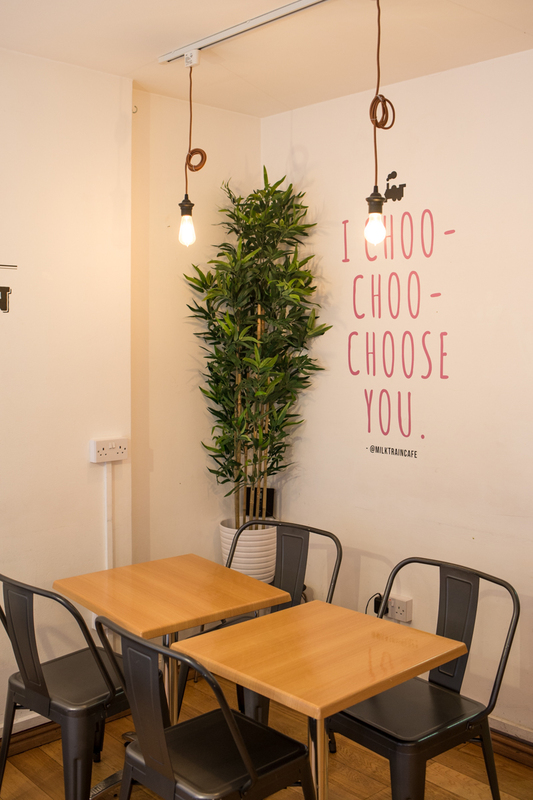 So here’s the deal, there’s 3 choices of ice cream, Vanilla, Macha or flavour of the day, which was chocolate on Sunday. Or you can have a swirl of the two. Then you choose your toppings from a pretty extensive list. 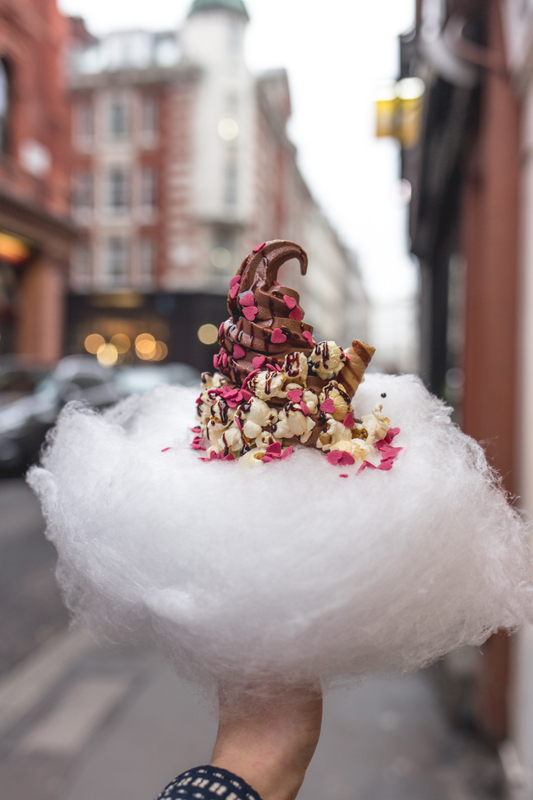 There’s Oreos, bubble gum candy, sprinkles, chocolate pieces, popcorn, the list goes on. 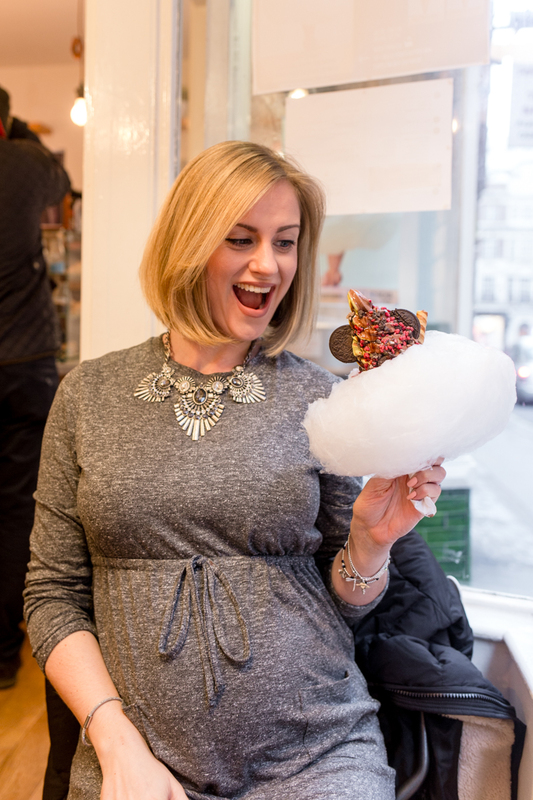 Then of course, you can add the fluffy candy floss cloud. 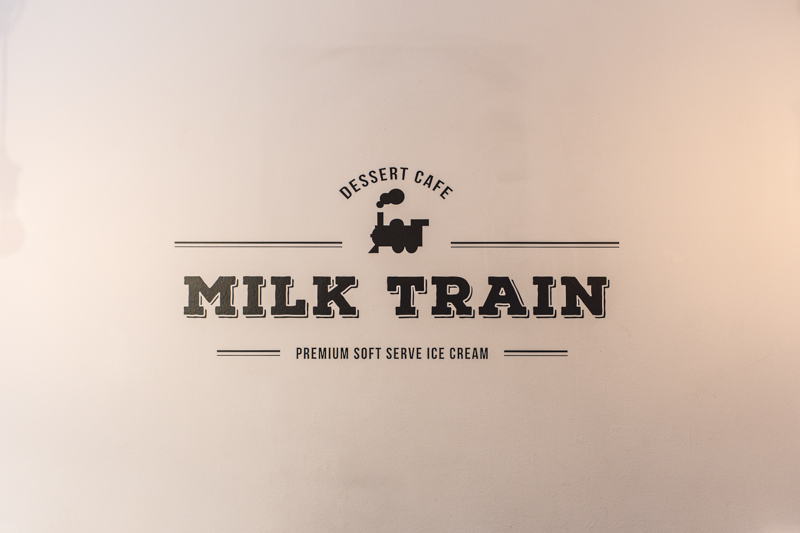 Who comes to Milk Train and doesn’t have it?! 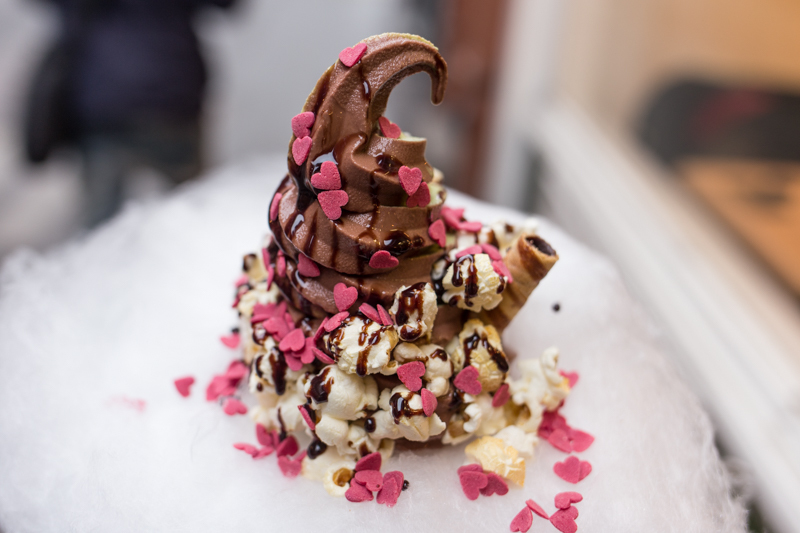 I decided to go for Macha and chocolate swirl, with popcorn and strawberry heart sprinkles. And the cloud. And here is the star of the show! Now can you see why it caught my eye on Instagram? Where do you even begin? It's crazy. I actually brought in a couple of people, as when I was taking my photos outside, I caught people's attention quite a bit. Well pass it forward I guess. I think needless to say we were both amazed. But what did it actually taste like? We both said we thought it might be a bit of a let down actually. You know, one of those all show and no substance type short lived trends? Well actually, the ice cream is really nice. Chocolate and Macha together is a winner in my eyes- who knew? 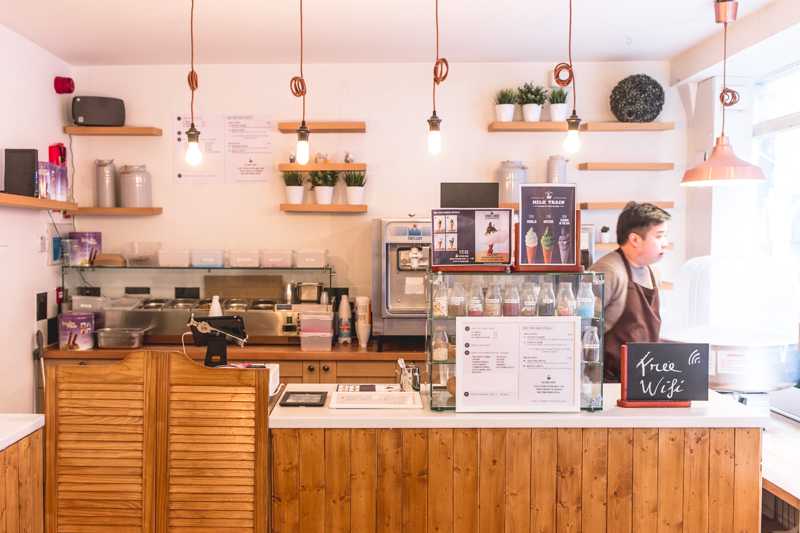 When the weather get's warmer, I can definitely see myself returning for a cooling ice cream. 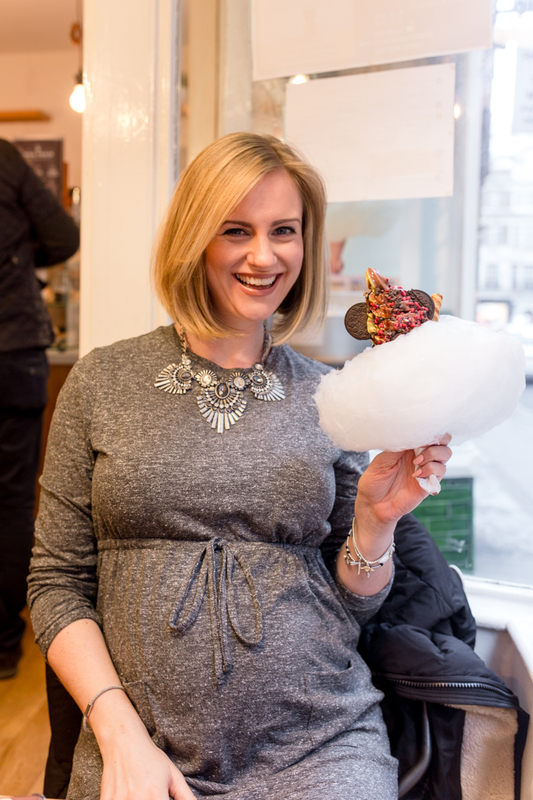 It does get messy though, with sprinkles falling left right and centre, so maybe don't wear white. 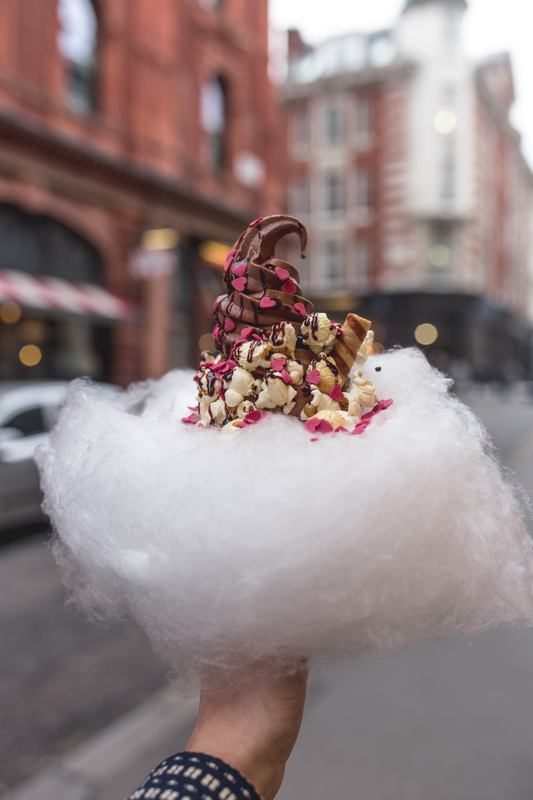 Hopefully now when you lovely people see this post, you too might be tempted to go down and try some candy floss ice cream, and so completing the modern circle of recommendations. I can tell you, it might not have warmed me up on these bloomin' freezing days, but it definitely made me happier. And that's good enough for me. I love that place! I only went about a week ago and it was the best experience. You're right, it's definitely a hidden gem but for all the right reasons. Caroline is looking ever so well, she definitely has the baby glow! This place looks amazing! 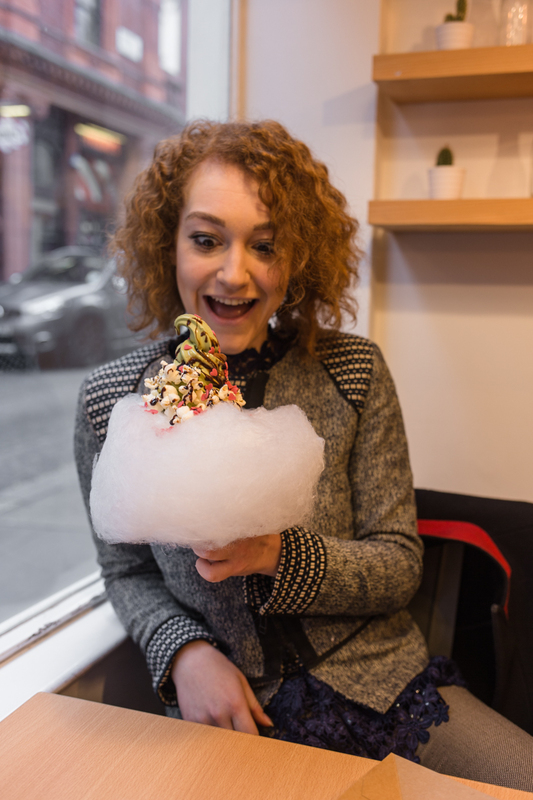 I haven't had candy floss for years! Oh my God, these look absolutely amazing! They are brilliant - I see why it caught your eye!! Yummy! That looks delicious! And SO Instagrammable! Why are all the good places in London?!?! OMG This needs to happen in Zagreb!!! wow wow wowwww! Now I definitely have to take my sister here next week! 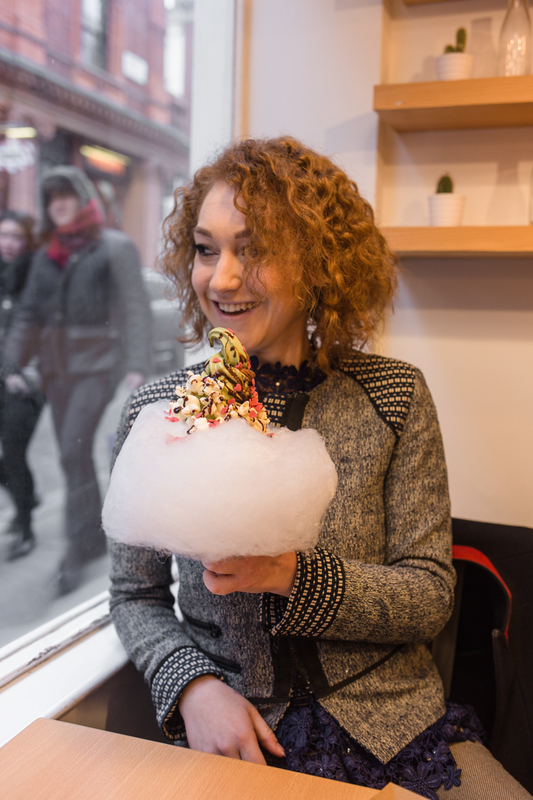 I loved the novelty and took my friend who was visiting from up North on her trip to London. It had just opened and I also found it flavourwise a little bit of a let down! A fun place though! Must say your photos do it much better justice than mine! I saw this a few weeks ago on a recommendation and I can't wait to go. Matcha ice cream be mine!